Names of two cities — one from Jammu and Kashmir and Uttar Pradesh each — are yet to be revealed. The metros with a population of over 50 lakh each on Smart Cities list include Chennai, Greater Hyderabad, Ahmedabad and Greater Mumbai. Some of the other important urban local bodies that have been included in the list are the New Delhi Municipal Council, Vishakhapatnam, Chandigarh, Surat, Kochi, Bhopal, Navi Mumbai, Thane, Bhubaneswar, Amritsar, Jaipur, Allahabad and Lucknow. The Smart Cities mission, launched by PM Narendra Modi in June this year, will provide central funding of Rs 48,000 crore to the selected cities for improving their infrastructure and service delivery through application of better technology and e-governance. Names of two cities one from Jammu and Kasmir and Uttar Pradesh each are yet to be revealed. 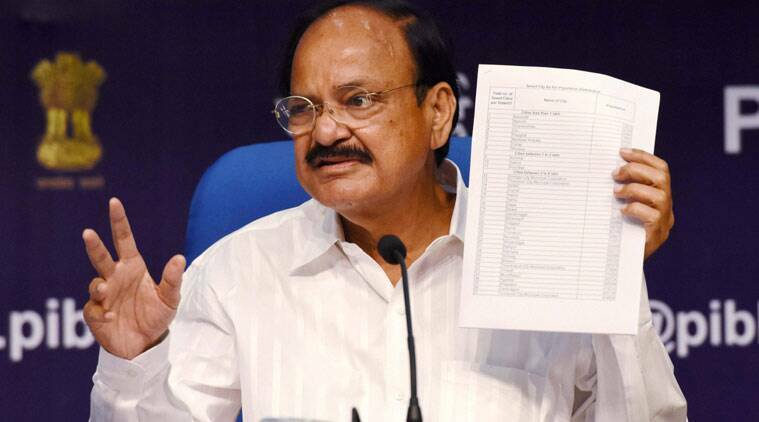 Explaining the meaning of Smart Cities in an Indian context, Venkaiah Naidu, Minister for Urban Development, said that it would ensure robust IT connectivity and digitization as also core infrastructure such as water supply, electricity supply, sanitation, public transport, solid waste management and affordable housing. “We are not just aiming at making our urban landscape fanciful and flashy but the prime objective is to enhance quality of urban life,” he said.